All Ryder-Walker Alpine Adventures tours, river cruises, expedition cruises, and adventure trips. Find the best guided trips and expert planned vacation and holiday packages. 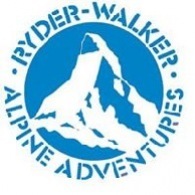 Average rating of 4.8 for all Ryder-Walker Alpine Adventures trips. Hiking past glacially carved lakes in the rugged Gosaukamm mountains. Views of more than 100 limestone peaks in the Dachstein mountain range. Two nights in Hallstätt, one of the most beautiful lakeside villages in Europe.